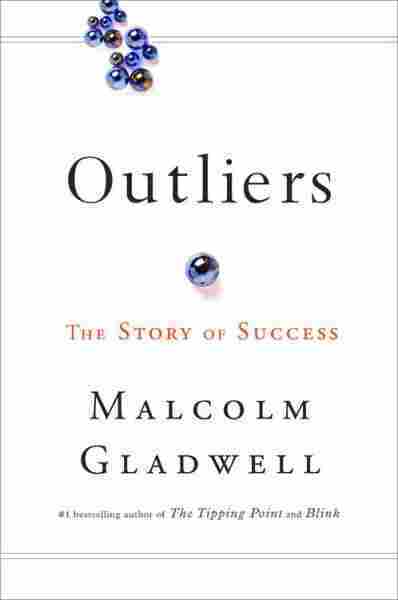 Outliers NPR coverage of Outliers: The Story of Success by Malcolm Gladwell. News, author interviews, critics' picks and more. 1. Roseto Valfortore lies one hundred miles southeast of Rome, in the Apennine foothills of the Italian province of Foggia. In the style of medieval villages, the town is organized around a large central square. Facing the square is the Palazzo Marchesale, the palace of the Saggese family, once the great landowner of those parts. An archway to one side leads to a church, the Madonna del Carmine-Our Lady of Mount Carmine. Narrow stone steps run up the hillside, flanked by closely-clustered two-story stone houses with red tile roofs. For centuries, the paesani of Roseto worked in the marble quarries in the surrounding hills, or cultivated the fields in the terraced valley below, walking four and five miles down the mountain in the morning and then making the long journey back up the hill at night. It was a hard life. The townsfolk were barely literate and desperately poor and without much hope for economic betterment-until word reached Roseto at the end of the nineteenth century of the land of opportunity across the ocean. In January of 1882, a group of eleven Rosetans-ten men and one boy-set sail for New York. They spent their first night in America sleeping on the floor of a tavern on Mulberry Street, in Manhattan's Little Italy. Then they ventured west, ending up finding jobs in a slate quarry ninety miles west of the city in Bangor, Pennsylvania. The following year, fifteen Rosetans left Italy for America, and several members of that group ended up in Bangor as well, joining their compatriots in the slate quarry. Those immigrants, in turn, sent word back to Roseto about the promise of the New World, and soon one group of Rosetans after another packed up their bags and headed for Pennsylvania, until the initial stream of immigrants became a flood. In 1894 alone, some twelve hundred Rosetans applied for passports to America, leaving entire streets of their old village abandoned. In 1896, a dynamic young priest-Father Pasquale de Nisco-took over at Our Lady of Mount Carmel. De Nisco set up spiritual societies and organized festivals. He encouraged the townsfolk to clear the land, and plant onions, beans, potatoes, melons and fruit trees in the long backyards behind their houses. He gave out seeds and bulbs. The town came to life. The Rosetans began raising pigs in their backyard, and growing grapes for homemade wine. Schools, a park, a convent and a cemetery were built. Small shops and bakeries and restaurants and bars opened along Garibaldi Avenue. More than a dozen factories sprang up, making blouses for the garment trade. Neighboring Bangor was largely Welsh and English, and the next town over was overwhelmingly German, which meant-given the fractious relationships between the English and Germans and Italians, in those years-that Roseto stayed strictly for Rosetans: if you wandered up and down the streets of Roseto in Pennsylvania, in the first few decades after 1900, you would have heard only Italian spoken, and not just any Italian but the precise southern, Foggian dialect spoken back in the Italian Roseto. Roseto Pennsylvania was its own tiny, self-sufficient world-all but unknown by the society around it-and may well have remained so but for a man named Stewart Wolf. Wolf was a physician. He studied digestion and the stomach, and taught in the medical school at the University of Oklahoma. He spent summers at a farm he'd bought in Pennsylvania. His house was not far from Roseto-but that, of course, didn't mean much since Roseto was so much in its own world that you could live one town over and never know much about it. "One of the times when we were up there for the summer-this would have been in the late 1950's, I was invited to give a talk at the local medical society," Wolf said, years later, in an interview. "After the talk was over, one of the local doctors invited me to have a beer. And while we were having a drink he said, 'You know, I've been practicing for seventeen years. I get patients from all over, and I rarely find anyone from Roseto under the age of sixty-five with heart disease.'" Wolf approached the mayor of Roseto and told him that his town represented a medical mystery. He enlisted the support of some of his students and colleagues from Oklahoma. They pored over the death certificates from residents of the town, going back as many years as they could. They analyzed physicians' records. They took medical histories, and constructed family genealogies. "We got busy," Wolf said. "We decided to do a preliminary study. We started in 1961. The mayor said-all my sisters are going to help you. He had four sisters. He said, 'You can have the town council room.' I said, 'Where are you going to have council meetings?' He said, 'Well, we'll postpone them for a while.' The ladies would bring us lunch. We had little booths, where we could take blood, do EKGs. We were there for four weeks. Then I talked with the authorities. They gave us the school for the summer. We invited the entire population of Roseto to be tested." Wolf's profession had a name for a place like Roseto-a place that lay outside everyday experience, where the normal rules did not apply. Roseto was an outlier. When Bruhn and Wolf first presented their findings to the medical community, you can imagine the kind of skepticism they faced. They went to conferences, where their peers were presenting long rows of data, arrayed in complex charts, and referring to this kind of gene or that kind of physiological process, and they talked instead about the mysterious and magical benefits of people stopping to talk to each other on the street and having three generations living under one roof. Living a long life, the conventional wisdom said at the time, depended to a great extent on who we were-that is, our genes. It depended on the decisions people made-on what they chose to eat, and how much they chose to exercise, and how effectively they were treated by the medical system. No one was used to thinking about health in terms of a place. Wolf and Bruhn had to convince the medical establishment to think about health and heart attacks in an entirely new way: they had to get them to realize that you couldn't understand why someone was healthy if all you did was think about their individual choices or actions in isolation. You had to look beyond the individual. You had to understand what culture they were a part of, and who their friends and families were, and what town in Italy their family came from. You had to appreciate the idea that community-the values of the world we inhabit and the people we surround ourselves with-has a profound effect on who we are. The value of an outlier was that it forced you to look a little harder and dig little deeper than you normally would to make sense of the world. And if you did, you could learn something from the outlier than could use to help everyone else.